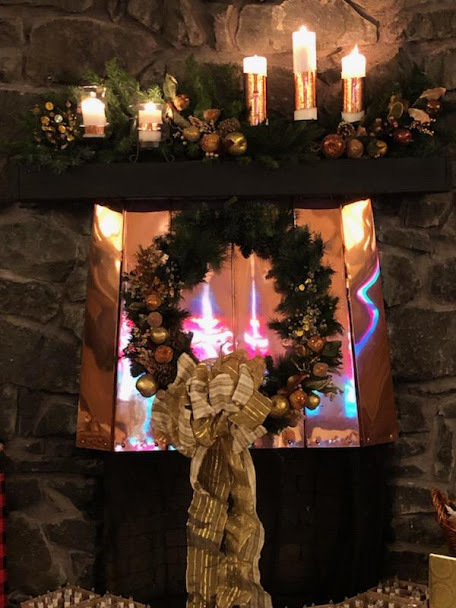 Faith’s background ambiance for the entire Christmas season was particularly beautiful this year because of a lot of people willingly sharing their time and talents. Decorating involved working side by side, many trips maneuvering up and down the spiral staircase while balancing totes; fluffing; typing; drilling; carrying ladders; making bows; braving the elements on a raw day; assembling candles and snipping wicks; being be-decked in glitter; vacuuming; hanging lights, wreaths, garland, ornaments and knowing when to stop. And after the celebration of Christmas taking everything down; subdividing Christmas trees in plastic wrap; and restoring our church. We strengthened friendships and shared laughter and meals. Thank you for all the compliments and we just want to nudge you because Easter is coming up and we’d love to work with you. Special thanks to DeWayne Jacobson for the wood tables he built which beautifully displayed the plethora of poinsettias provided by Forest Lake Floral. We are blessed.